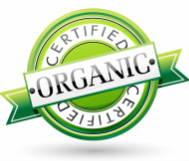 Years of experience in the organic industry. Participate in a group marketing program to increase your organic customer base. Avoid expensive mistakes while expanding your retail and/or food service business. Contact us and we'll design a program that best services your needs. We educate communities and reach out to the world with our KCAA Radio (CNBC Affiliate) Smart Health Talk Radio Show and Blue Monarch Project. We are hoping we can inspire others to take action to support organic farms/products and environmentally safe practices at home, work, and where we shop as a way to keep our families and neighborhoods from harm.